Amazon is doubling down on the smart home space. They’ve set up the Alexa Fund to provide up to “$200 million in venture capital funding to fuel voice technology innovation.” And almost $7 million of this fund is going to Plant Prefab, a Southern California start up that builds sustainable prefabricated homes. It looks like you’ll be able to click and ship your very own quick and affordable Amazon prefab home soon. But how does the prefabricated home fit in with the Alexa Fund’s directive of developing voice technology? Future Amazon prefab homes will feature the growing collection of Alexa voice tech and smart home innovation throughout the home’s floor plan. According to Paul Bernard, the director of the Alexa Fund, “There are now more than 20,000 Alexa-compatible smart home devices from 3,500 different brands,” he stated. 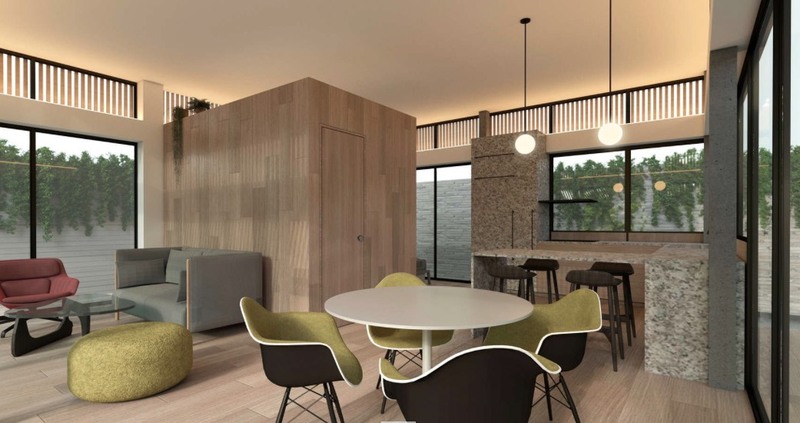 “We’re thrilled to support Plant Prefab as they make sustainable, connected homes more accessible to customers and developers,” he said of the Amazon prefab homes. 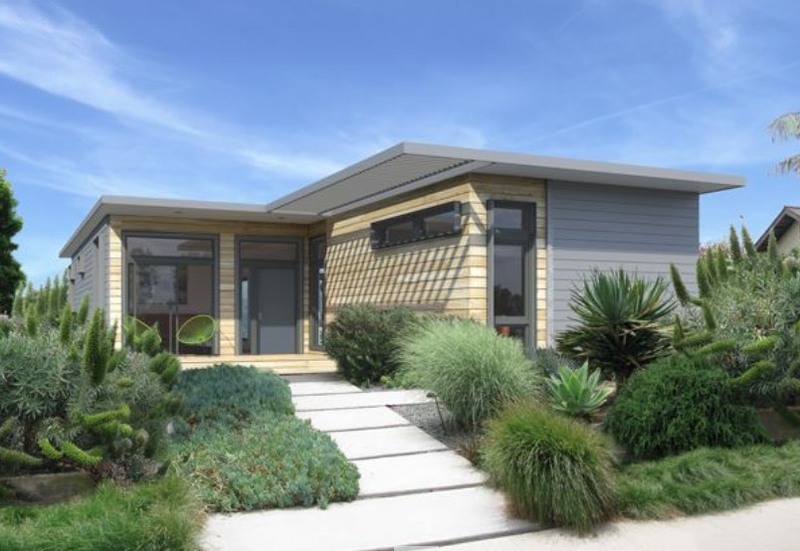 Plant Prefab specializes in building modern, green homes designed for an urban environment. 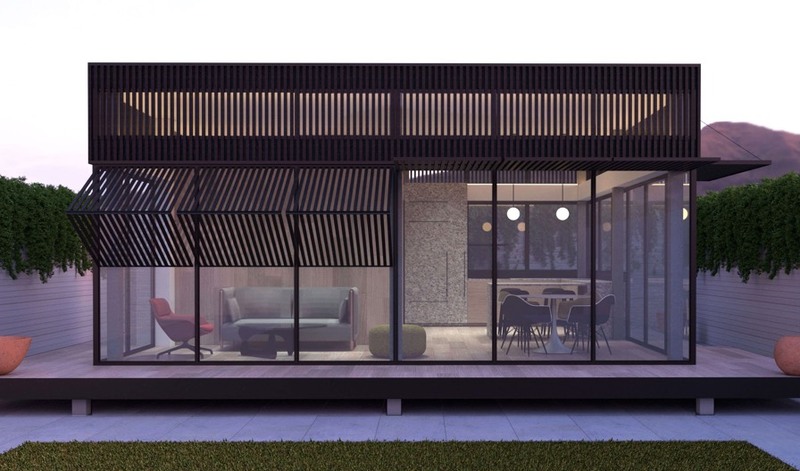 The startup claims that building the home in an offsite factory using new technology and automation can save half the construction time of a tradition build. 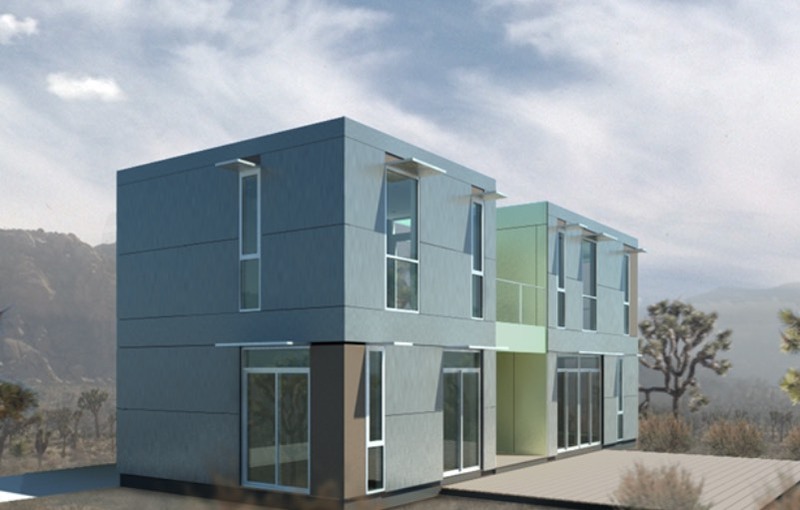 And time equals money: their prefab houses use better quality materials and finishes for less time and cost. A prefab home being delivered to the home site for final assembly. 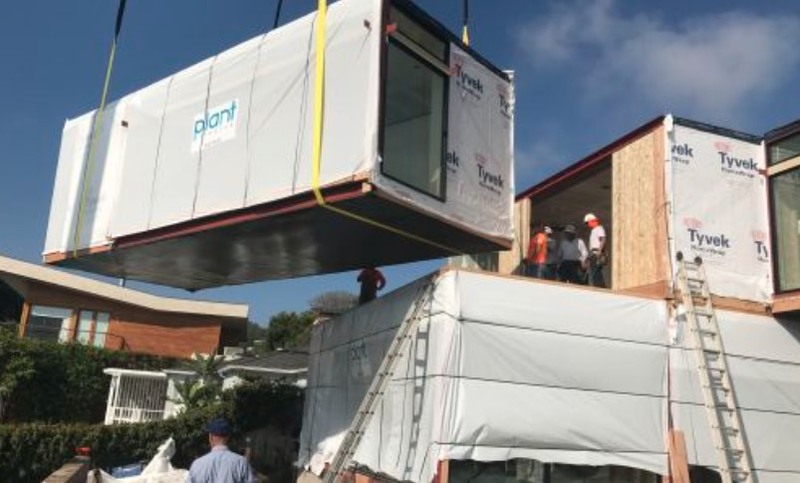 According to Plant Prefab’s founder Steve Glenn, “In the housing­-crunched major cities like Los Angeles, New York and San Francisco, along with areas like Silicon Valley, it takes too much time to build a home from groundbreaking to occupancy.” It looks like future Amazon prefab homes will solve this headache. 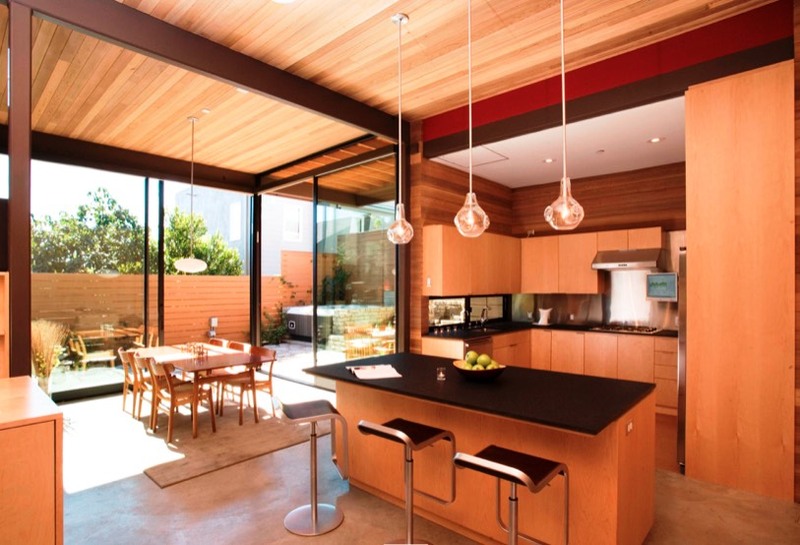 Designed by iconic industrial designer Yves Behar, the home is minimalist, open and modern. Soaring ceiling and lots of windows create a space that feels larger than 625 square feet. 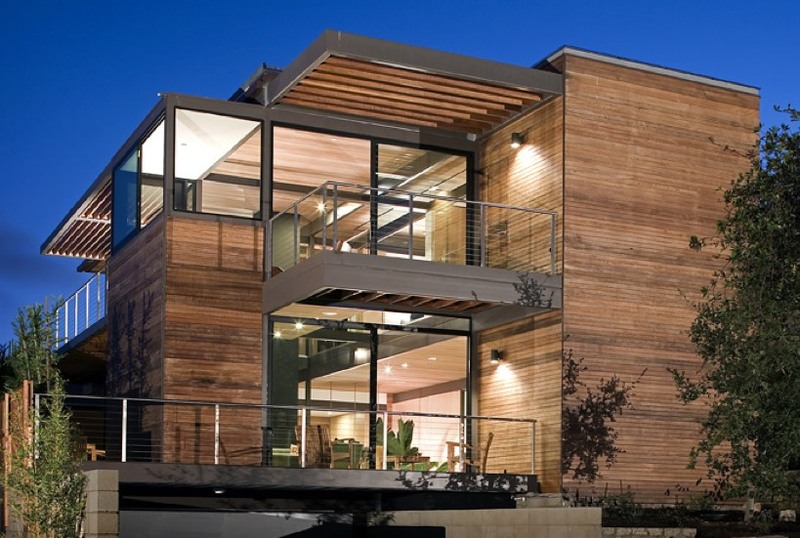 The 2-story modern features quality materials like steel and reclaimed wood. 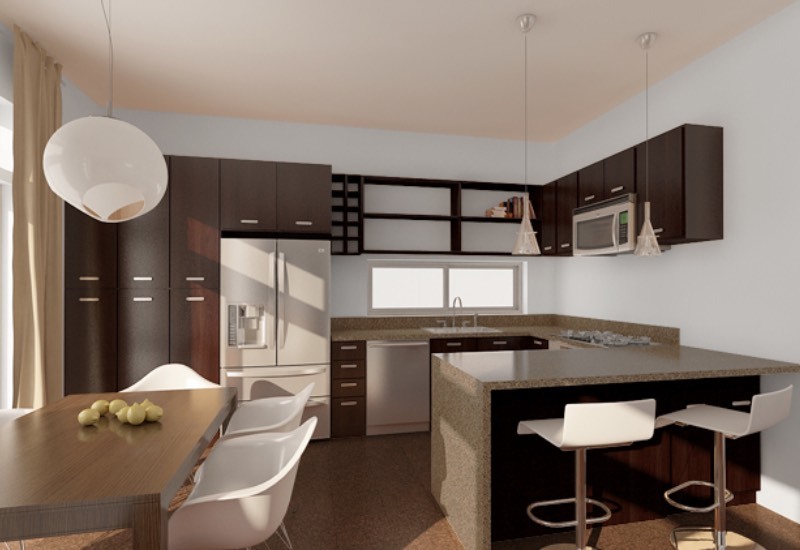 An open floor plan allows for easy flow throughout the house. The C6.2 model is compact enough to fit on a small, narrow lot. 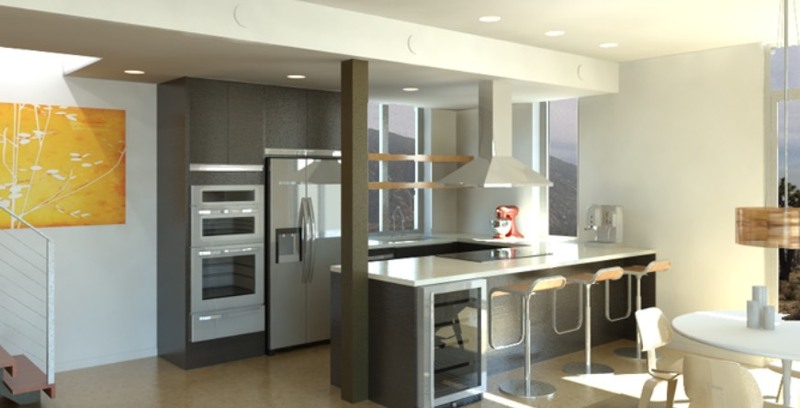 Modern, high-end finishes are part of the prefab home’s design. The exterior of the KT1.5 is contemporary and low-maintenance. All spaces in the prefab home are large, airy and open. 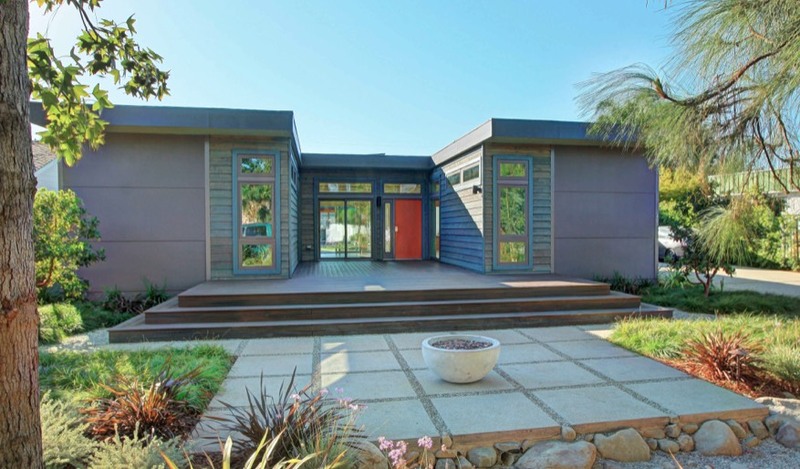 What do you think of these modern prefabricated homes? Would you buy one through Amazon? Let us know in the comments. The post Shipping to your Door Soon: Alexa-Enabled Amazon Prefab Homes appeared first on Freshome.com.